More and more interesting tidbits are coming out with David Beckham getting a loan deal to AC Milan done last week. 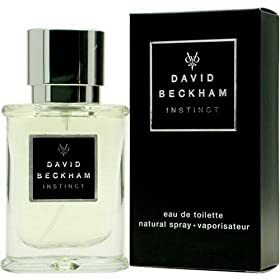 Grant Wahl reporting that Beckham has an out clause in his contract that could see him leave the Galaxy on a free transfer following the 2009 MLS season would make the "Beckham has played his last MLS game" rumors more sensible. The LA Galaxy may have to look at selling Beckham now and getting some return or perhaps get him back for the 2009 MLS season and then see him leave for nothing after the season. This will certainly test how committed to MLS and the LA Galaxy that Beckham is. And honestly, his desire to play in the 2010 World Cup may far outpace his desire to remain a member of the Galaxy. And I'd question the guy if that wasn't the case! - SBI.net has a piece on Landon Donovan talking about moving to Europe and what it means for LA. I think this is the time to cash in and blow things up. - On Thursday, Devo had a sweet piece on how the Chinese government was going to keep close tabs on Abby Wambach had she played in the Olympics because she was a member of Team Darfur. - Real Salt Lake was the only home team to get an advantage heading into the 2nd leg of the 1st Round MLS playoff series. Like most of the road teams, SBI.net says that Houston was thrilled to get a draw on the road versus the Red Bulls. - You can vote for MLS' Goal of the Year now. I voted for Danny Cepero's free kick goal for the Red Bulls versus Columbus. Apparently you can vote up to 10 times per day. I wonder if the TFC fans will stuff the ballot box for Chad Barrett's GOTW in week 20?